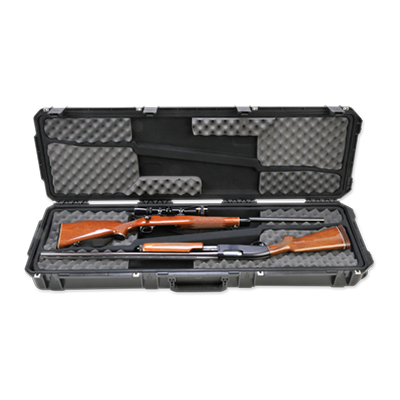 The iSeries 5014 Double Rifle Case interior cavity features a fabric lining with molded EPS lid and base liners for structural strength as well as rifle separation. 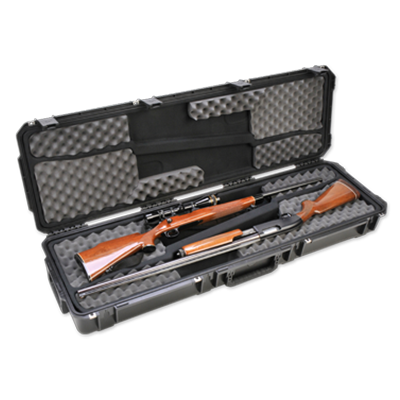 Strategically placed compression foam pads in the bottom and lid of the case prevent rifle movement inside the case. 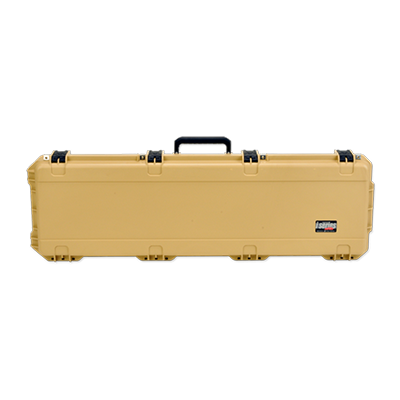 SKB's 3i Series of injection molded watertight cases are constructed of ultra high-strength polypropylene copolymer resin and feature a gasketed, waterproof and dustproof, submersible design (IP67) that is resistant to corrosion and impact damage. 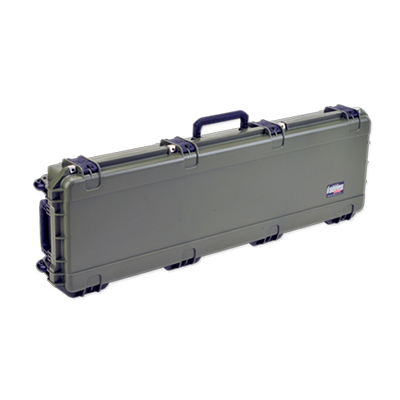 The molded-in hinge and stainless steel hinge pins, patented "trigger release" latch system, comfortable, snap-down rubber over-molded cushion grip handles on three sides, secure stacking, and automatic ambient pressure equalization valve (MIL-STD-648C) all contribute to its military grade design. 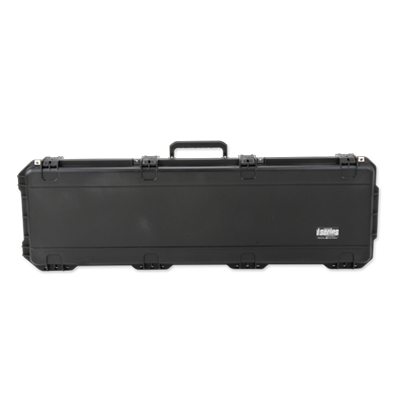 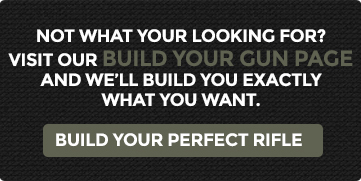 The iSeries 5014 Double Rifle Case has four (4) SKB patented trigger latches, four reinforced padlock locations that will accommodate a customer supplied lock and in-line skate style wheels so transporting your gear in the back of your truck or around the world is both worry and trouble free.